Eric Lu is always moving. When we sit down to talk about the value of internships, Lu has just returned from a run. He’s also an avid cyclist and rock climber. Lu is a senior majoring in engineering physics with an emphasis in mechanics at PLNU. This semester, he starts a manufacturing internship at Solar Turbines, a subsidiary of Caterpillar, the global energy company. Lu mentions the importance of learning about internship opportunities through professors like Maria Zack, Ph.D., who chairs PLNU’s Departments of Mathematical, Information & Computer Sciences and Physics & Engineering. Zack often hosts events with industry professionals and invites her students. Lu met Solar Turbines employees through her “career dinners” last year. Then Lu prepared for the internship by working with his career coach, Devin Jones, from the Offices of Strengths & Vocation (OSV). “I transferred here from Purdue University, which is a huge school,” he said. “The PLNU advantage is that I could meet with Devin on an ongoing basis to review my resume and share my strengths. Lu has completed internships with companies like SPAWAR Systems Center and General Motors. Updated research into employment trends demonstrates the benefits of Lu’s approach. 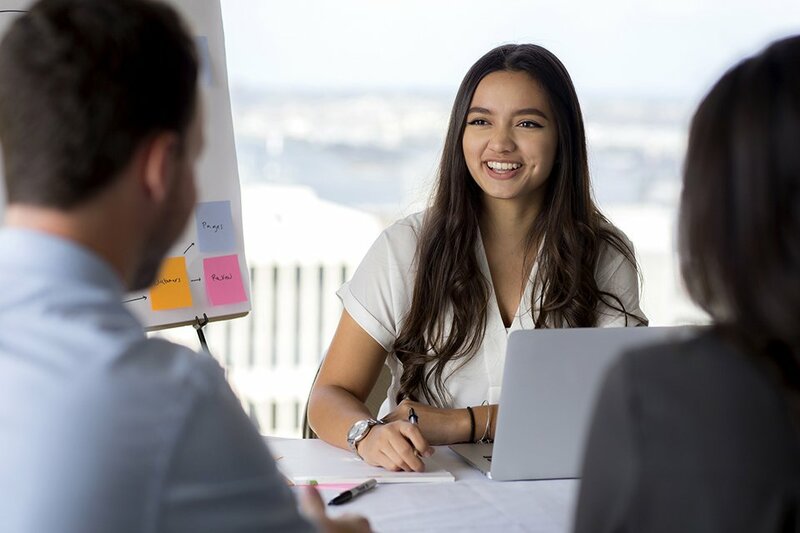 The total number of internships a student completes as an undergraduate is a major predictor of positive career outcomes six months after graduation. Phil Gardner, Ph.D., is director of the Collegiate Employment Research Institute at Michigan State University. During a presentation last month at San Diego State University, Gardner highlighted the 48th edition of “Recruiting Trends,” Michigan State’s 2018-2019 report of 3,300 employers seeking new college talent. Gardner said that employers expect college graduates to possess experience before applying. This shift has drastically changed the process of entering the workforce. His research shows that 77 percent of employers consider “past workplace performance” in the recruiting process. But how will students get this experience? Lindsey Lupo, Ph.D., co-chair of the Department of History and Political Science and director of the PLNU Institute of Politics & Public Service, affirms the need for students to acquire experiences in the greater community. Internships are required for students majoring in political science and international studies. Related Article: Finding your life’s work takes work. Read this comprehensive guide to help you get started on finding a career you love! Lupo encourages students to go to coffee with professionals at their internships. The required assignments for interns include asking questions about salary ranges and graduate degrees. Students can also learn valuable skills that they didn’t expect. Last year, Lu applied for an internship at Tesla that he didn’t get. “I learned how to recover quickly,” he said. 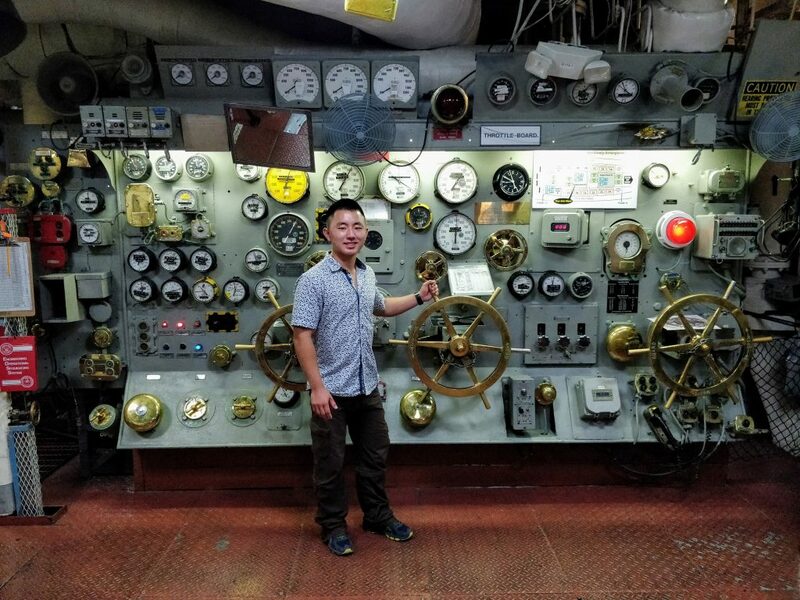 Eric Liu works on a project at the USS Midway during his SPAWAR internship. Chrissy Conde, who manages regional talent acquisition for Enterprise in Southern California, visited PLNU and highlighted the importance of converting interns into employees at her company. “While internships can lead to increased rates for job offers and salary ranges, PLNU offers a unique perspective on internships and calling.” According to Conde, Enterprise works to convert at least 45% of their student interns to management trainees. Rebecca Smith is Executive Director of Career Services at Point Loma Nazarene University. Is it time for you to get career-ready? The Offices of Strengths & Vocation (OSV) is a dedicated on-campus career center exclusively for PLNU students. OSV works with students to identify their strengths, develop their talents, write their own unqiue story, and discover who they are called to be. Click here for some tips from OSV on designing a purposeful career, developing your God-given strengths, creating a killer resume, and connecting with employers!